Good Soil | ". . . let God be found true, though every man be found a liar." In Matt. 13:3-9 the Lord told a parable that we call the Parable of the Sower. It is one of the most familiar and oft-quoted of the Lord’s parables. The Lord drew on the manner in which seed was sown in His time to teach a lesson on how we should receive the word of God. In that time fields were cleared of rocks and weeds to receive the seed. These fields were generally bordered by hard paths from which farm workers could access any area of the field. Near these paths were strips where the rocks that were removed from the field would be left. This is where weeds tended to grow, just as in our gardens today. In that time period seed was cast by hand across the field. In order to adequately cover the cleared portion of the field the seed was cast so that some of it landed in the rocky and weedy borders as well as on the paths that separated one field from another. The Lord used this well-known fact of life to illustrate how different people respond to the gospel. 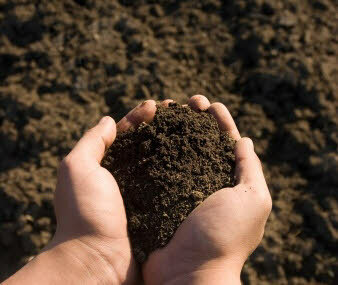 As He explained this parable to His disciples, the Lord said that only the good soil was productive. The hard pathway did not allow the seed to penetrate the surface so it could germinate. The rocky and weedy soils both allowed the seed to sprout, but it was not productive because it could not compete with the rocks and weeds. These three soils represent the majority of people who hear the gospel. Some will not allow it into their hearts and reject it outright. Others gladly receive the word, but other issues in their lives choke it out and thus, in time, they fall away. Only one soil in the parable was productive. That was the good soil. The reason why the good soil was good is that it had nothing else in it to compete with the seed. This soil was broken up so the seed could penetrate it and germinate. It was also free of rocks and weeds so there was nothing to keep it from reaching its full potential, and producing, as the Lord said, “some a hundredfold, some sixty, and some thirty” (v. 8). The point of this parable is to exhort us to have the right kind of heart as we hear God’s word. We must break down the hard shell of pride and selfishness in order to let God’s word into our hearts. We must dig out all the rocks and weeds of worldly interests and pursuits so there is nothing to compete with it in our lives. This means that we must be willing, not only to receive God’s word, but also to learn it and to meditate upon it so that it may have its fullest effect on our lives. Only when we do this will we truly be good soil and productive in the Lord’s kingdom. We often speak of this parable in an evangelistic context. That is, we use it to encourage the lost to believe in the Lord and to obey His will. Certainly it is appropriate for this use. However, we need to remind ourselves that we must continue to be good soil even after obeying the gospel. In 1 Pet. 2:1-3 Peter exhorts Christians to put aside all malice and desire the pure milk of the word so we may grow in respect to salvation. In 2 Pet. 1:5-8 he further exhorts us to grow by adding what we call the Christian virtues to our faith. V. 8 in this passage is particularly important because it tells us why we must do so. Peter says, “For if these qualities are yours and are increasing, they render you neither useless nor unfruitful in the true knowledge of our Lord Jesus Christ.” Therefore, as long as we live we must continue to dig out the rocks and weeds that may crop up in our hearts. If we do this we will always be good soil, and we will always be productive in the Lord’s kingdom.